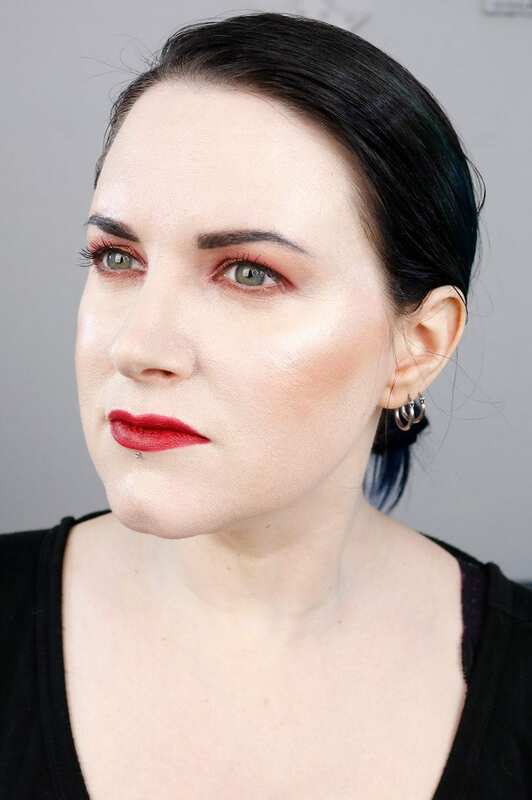 I wanted to share my first impressions of Huda Beauty FauxFilter Foundation in Milkshake with you. I bought this foundation from Sephora and received it in the mail yesterday. Those of you who follow me on Instagram saw my Instagram stories about the FauxFilter foundation. 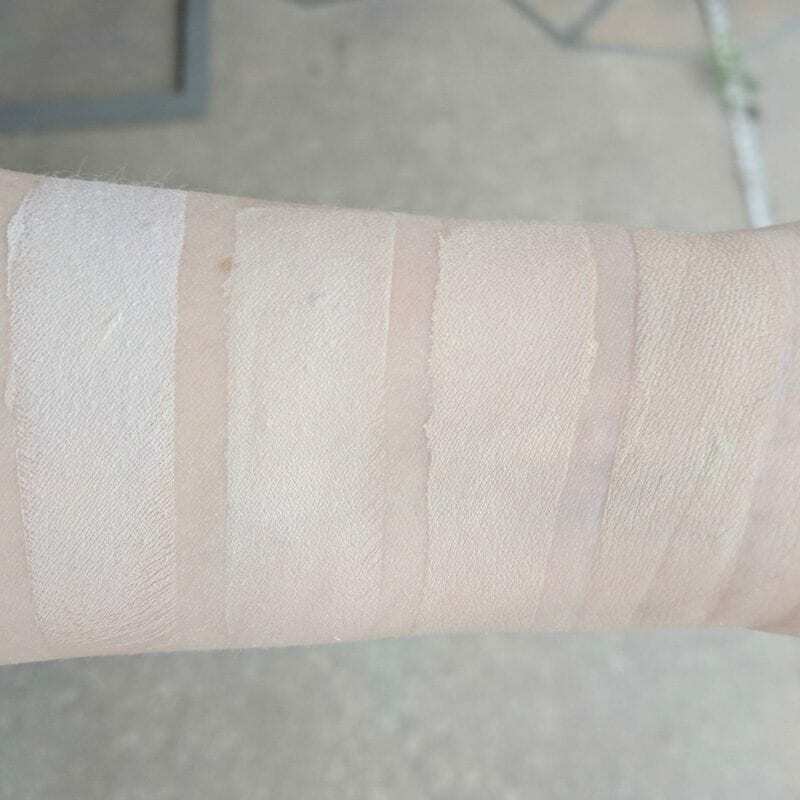 I also put up some swatches for you, too. 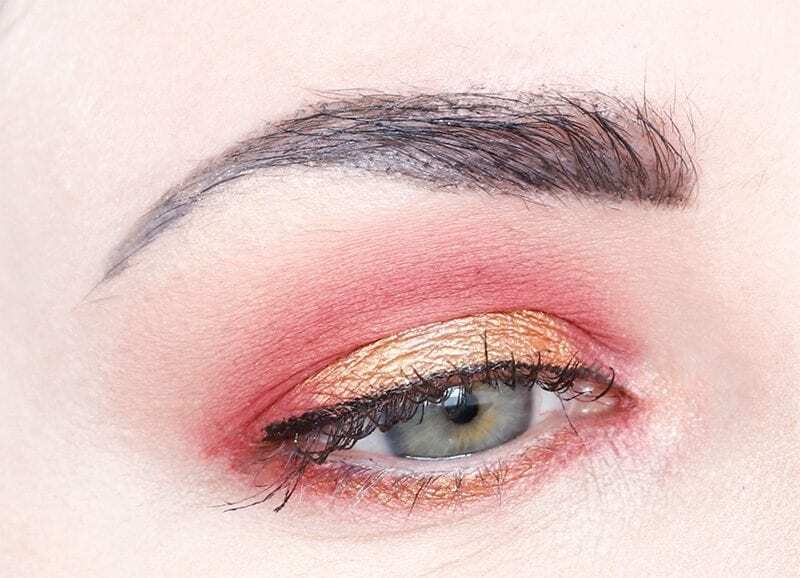 I did use the Urban Decay Heavy Metals palette on my eyes again today. Love these colors! 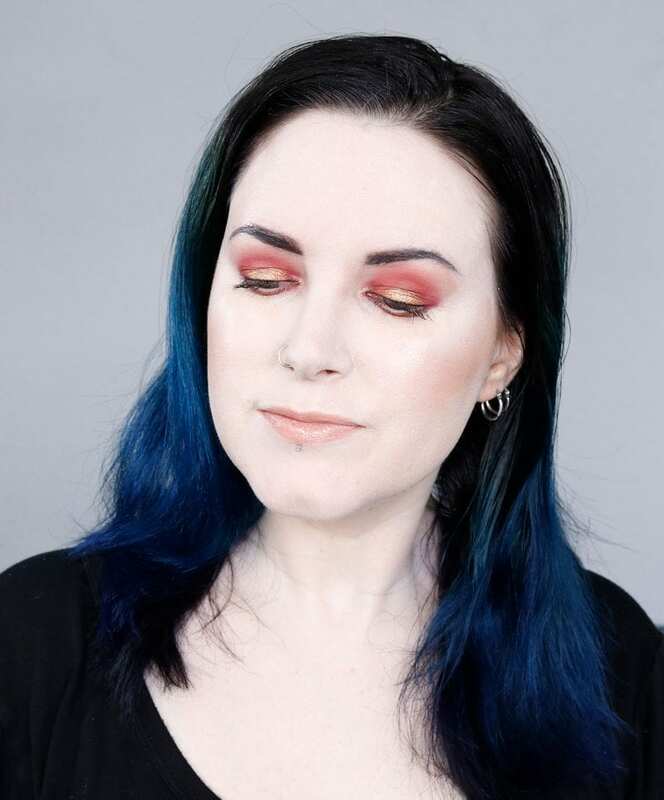 Did you catch my review of the UD Heavy Metals palette? 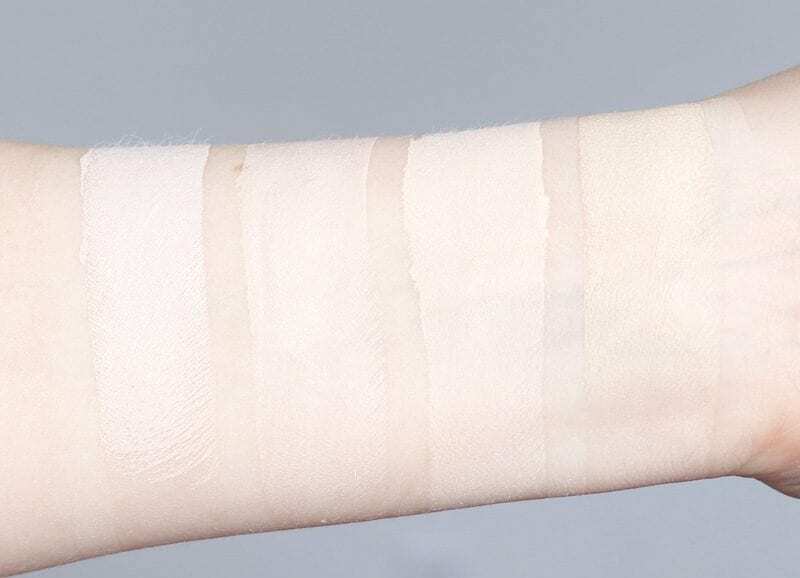 Immediately after application. No retouching. Combination of indirect daylight and studio lights. After 8 hours of wear. I wanted to compare Huda Beauty FauxFilter Foundation in Milkshake to some of my other great foundation matches. 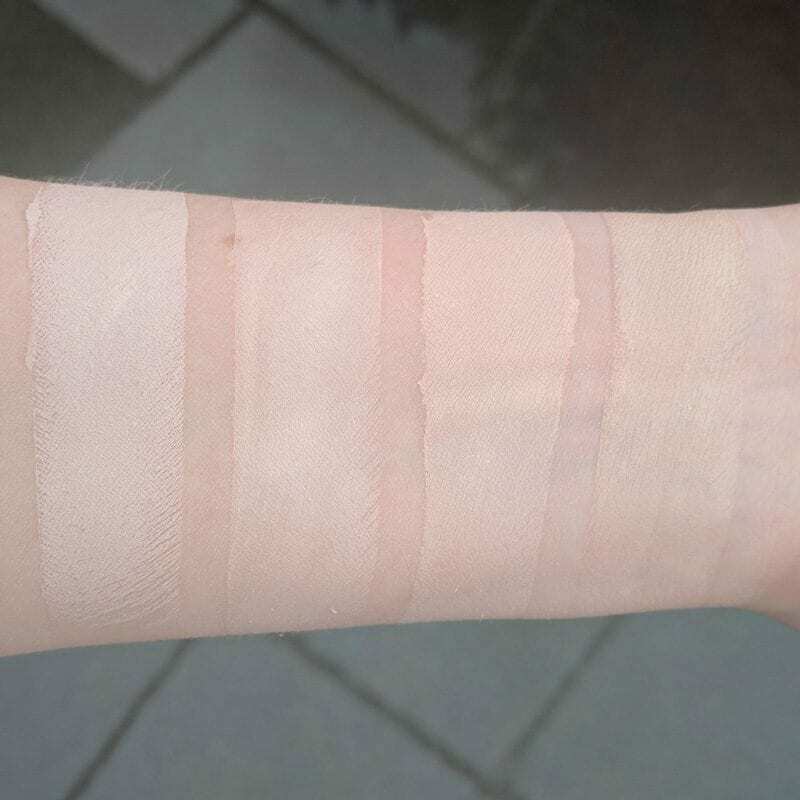 I swatched it next to NARS Siberia (no longer cruelty free), Idun Minerals Jorunn, and Kat Von D Lock-It Foundation in L41 Neutral. 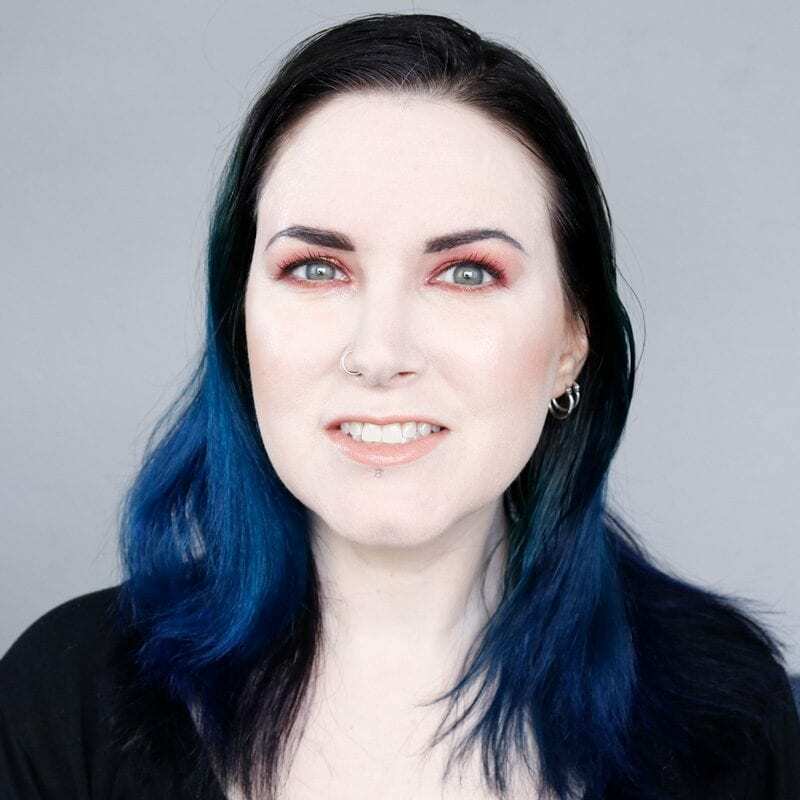 For those of you who are curious, Sephora’s ColorIQ system matches me to 1Y01. I need to say that I really like the packaging for this foundation. It’s square and compact, making it easy to toss into a makeup bag. I love the shade names, as they’re all named after food. Milkshake is such a cute name for a foundation shade! The deeper shades have names like Hot Fudge or Chocolate Truffle, while the lighter are named Angel Food and Crème Brulée. Medium skintones have names like Butter Pecan and Baklava. Huda Beauty FauxFilter Foundation has 30 shades in total. Huda claims to have mixed all 30 shades herself over a 2 year period. She said they took into consideration things like having an olive complexion with golden undertone. She said it was a true labor of love. It sounds like it! I’ll be testing the Huda Beauty FauxFilter Foundation over the next several days to see if the fragrance in it causes me to break out. As I mentioned in the video, the fragrance is quite strong and it lingers for at least an hour. 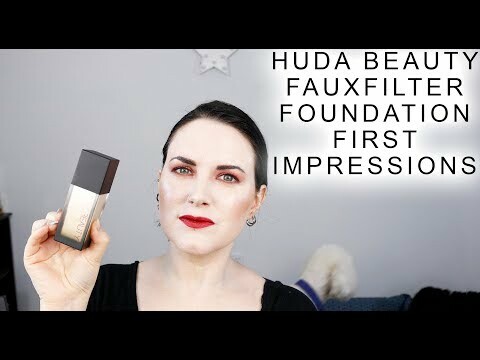 What do you think of my first impressions of the Huda Beauty FauxFilter Foundation? What do you think of the shade match? I bought the huda beauty foundation and kvd at the same time and have been ingredients both. And I started breaking out in all my face. And I’m not sure which of the two could it be. I usually use the all nighther foundation. And it hadn’t happend before. Did the fragrance made you break out. Thank you for your help. 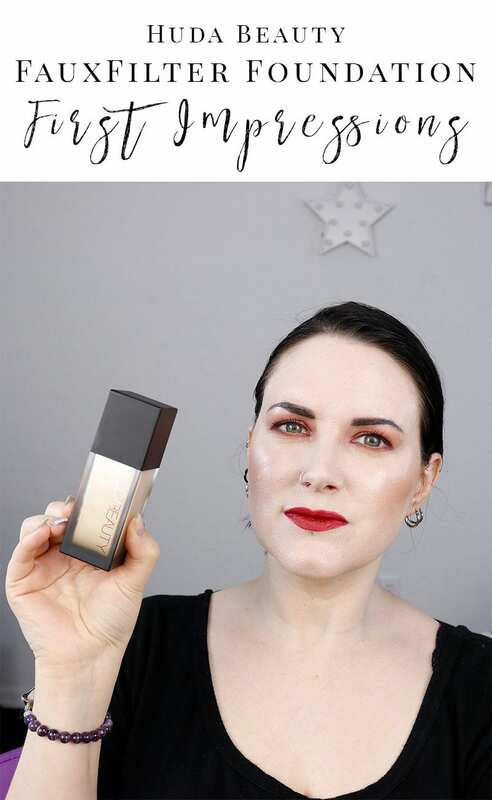 Hi, as you can see in my review here https://phyrra.net/huda-beauty-fauxfilter-foundation-review.html I do not break out from this foundation, though I fully expected to because of the perfume! Hmmm, the shade match is perfect on you. I think I’m only slightly darker than you and more yellow, I’m debating between milkshake and angel food. Out of curiosity, is the consistency comparable to the KVD lock it? I can’t stand the thickness of that one, and in videos the FauxFilter seems liquidy, but I heard a comparison to the kvd thickness. Would like to know before I buy! Huda’s FauxFilter is medium-full coverage, while Kat Von D is FULL COVERAGE. I find the Huda Formula works for my dry skin, whereas the Kat Von D is not wearable on my dry skin. I’ve was curious about Huda Beauty, because I have yet to try it out. I’m thinking I’m in the range of Baklava or Butter pecan, because of my golden undertones. I loved how it made your finished look so flawless. Your shade matched you to a T.
I love Huda beauty Fauxfilter foundation. This is the first foundation I have tried that has matched my skin so closely. It gives me medium to light coverage which I personally love since I like wearing this during the summer time. I have acne scars that I really don’t love. They make me feel self-conscious about myself. But this product provided coverage over them. I have very oily skin so this thing is my holy grail. 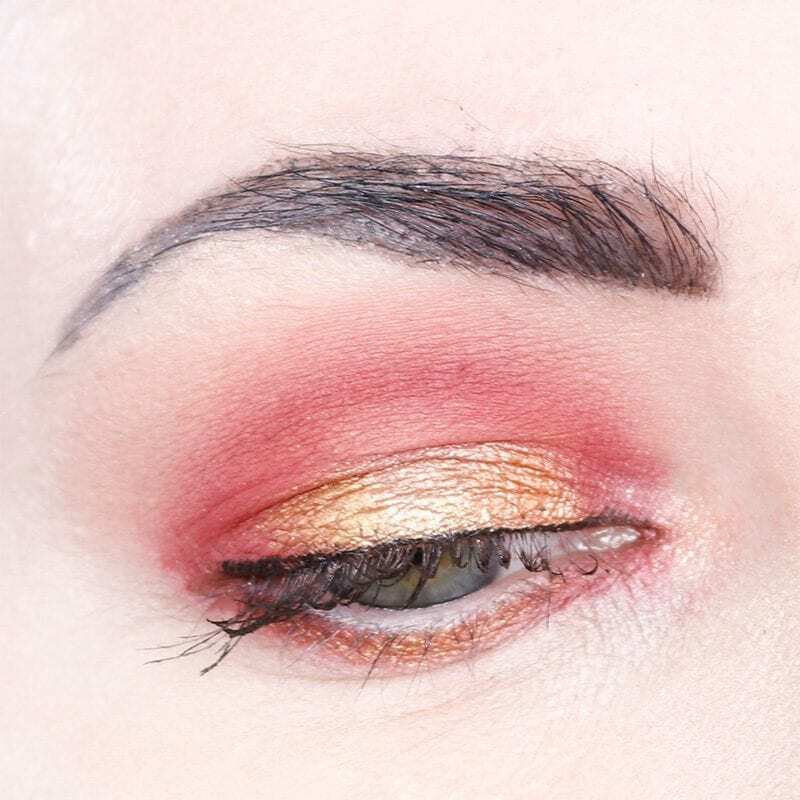 It goes on and blends flawlessly. I bought another bottle just because I love it so much! I think the shade match looks awesome on you but boy it looks a little slick on your skin. That concerns me! I have one on the way, and I am a little anxious. I am debating the Jouer but I don’t know what to do about a shade. NONE of the ones out now look remotely yellow-green and I am a JAUNDICED gross pasty beast. 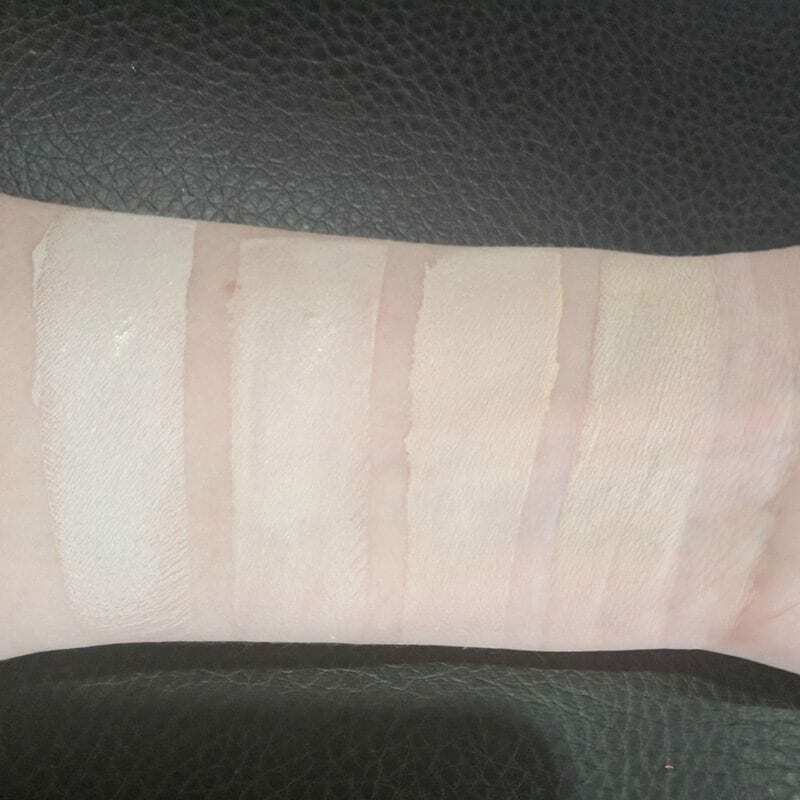 Fenty 130-140 was a damn good match for me though the formula wouldn’t stay on my skin, but nothing in the Jouer swatches I’ve seen looks quite right. It ended up looking more slick at the end of the day after 8 hours. I did order the Jouer foundation in the shade Pearl (for fair warm skin), so we’ll see how that works. I’m betting it will be too dark for me. I was really curious about this foundation! The range of shades is impressive. Looks like you got a good shade match. I wish brands would stop using fragrance in foundations and skincare. I don’t understand why cosmetics companies continue to add fragrance to products. It would just be safer for everyone if the omitted them. Hope the fragrance won’t break you out. I hate it when I test something then it results to a pimple, ugh! What a great shade for you. I know you have so much trouble finding anything this light. But why the fragrance Huda? I’ll never be able to tolerate that. I had it in my Sephora cart and took it out once you said the fragrance was strong. I think that Milkshake is a beautiful match for your pale skin. I’m a little concerned about the scent that you mentioned, but I will make the trip to Sephora to see what they have in a shade for me. Their makeup is cruelty free. Their lashes are not. I’m curious about this foundation for sure! Thank you for mentioning fragrance and migraines! I was thinking of ordering this (it’s in my basket) but I will skip. No foundation is worth a days long migraine.